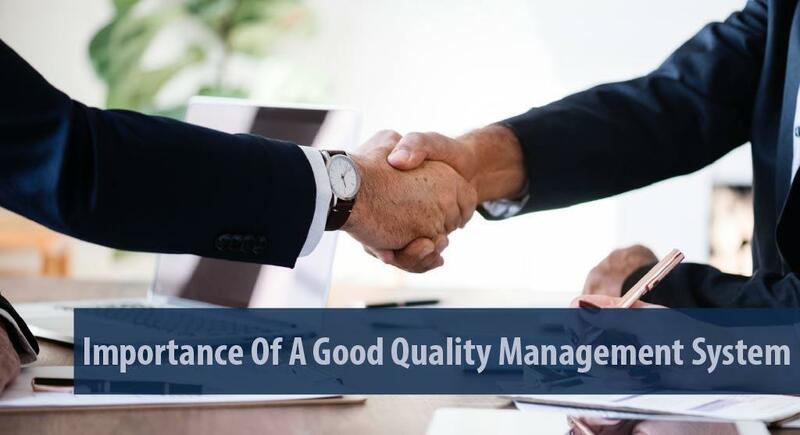 Quality Management Software system is a formalized, consolidated system that aims on achieving quality policies and objectives of an organization through documentation and processing. This system, in laymen terms, helps meet consumer requirements and standards while being in line with necessary regulatory and development requirements. This Centralized system helps the company to manage and be consistent with its high-quality production by providing quality planning, quality assurance, quality control, and quality improvements. This system doesn’t only focus on the end result being a high-quality product or service. It also pays attention to the means of achieving it. By the implementation of a Quality Management System Software, a company can ensure that the quality based issues are addressed effectively. The Harrington International QMS Software & Enterprise Quality Management system software provided the cutting edge for companies to stay ahead of their game. We provide an “all-in-one” software solution for businesses by managing the 5 key drivers of shareholders value: customer, employee, supply chain, products, and services. Our Enterprise Quality management software system is the foremost, superlative management software in the market that would promise to keep you ahead of the curve by meeting the expected high standards of your consumers. If a business is unconcerned about its future prospects and long-term loss of prospective customers due to the failure of meeting the standards of consumers, a Quality Management system could be an unnecessary burden for them. However, if a business envisions its growth in the market and also in its scope of customers and intends to remain economically relevant in the future, investing in a reliable Quality Management system software is mandatory. Following are the risks a business has a probability of facing due to a lack of an effective Quality Management system software. Lack of improvement in the process. There would be no involvement in the process and the end product would be stagnant while the other products in competition will continue to evolve with the use of Quality Management system software, that will help them understand deficiencies in the existing production line, helping them find a solution in order to give a better product to the consumer. If your company is unable to meet the demands and standards of your consumers that would drive them into the vicinity of your competitors who sell similar products that respond to their needs. One of the main aims of utilizing a Quality Management system software in a company is to make sure your products/ services are in line with what your consumers want. A company that is unable to satisfy its customers’ needs and wants would be quick to lose its consumers to a competitor. A Quality Management system would help you stay ahead of the game by ensuring your product/service has the cutting edge that your customers desire. It would make sure that it meets the highest standards of satisfaction that your consumer expects from you. This could obstruct your company from creating alliances with top-tier companies and obtaining contracts from them. Almost all top-tier companies have a Quality Management system, and they require their suppliers to have a formal Quality Management system of their own. The lack of a Quality Management system could hinder the outreach of your company. Without a quality Management system, a company would not be granted contracts thereby hindering its growth in the long run. A good Quality Management system software would ensure that a company would reach its full potential. As one of the best business management software organizations in the current market, Harrington Group International ensure that all our clients’ software needs will be met with maximum quality and service.